You’ve been curious about dental implants in West Monroe for a while now – although you have a partial denture that works just fine, you’d love to avoid embarrassing wiggling when you speak and chew and you’d love to not have to take your smile out at night. To start the process, a consultation is an important to give you the best results possible. Find out why you should schedule an appointment to begin your restorative treatment with Dr. L. King Scott, your superior implant dentist in West Monroe. 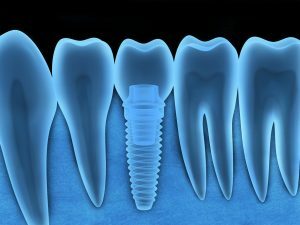 Why Is A Consultation For Dental Implants Important? Regardless of the dental professional you choose, you should not move forward with dental implants if your dentist doesn’t provide a consultation. This can be a sign that your dentist is cutting corners and could possibly endanger the look and the functionality of your pearly whites. They increase the strength and density of your jawbone. They allow you to speak with ease. They make it easy to chew all of your favorite foods. There’s no need to get adjusted to implants like you would with dentures. They protect your remaining teeth from injury and disease. They look natural – the only person who’ll know you have false teeth is you! They’ll make you look younger than dentures or partials will. Dental implants can last a lifetime with proper care. They actually cost less than dentures and bridges because you won’t need to replace them as often (if ever). They stay in place, making messy dental adhesives and the embarrassment of removable false teeth a thing of the past. They’re easy to care for – simply brush and floss like you would your natural teeth. As you can see, dental implants are the superior option over other replacement teeth. So, if you have questions about how you can restore your smile to its former glory, give us a call or schedule your consultation with Dr. L. King Scott today!